Group Of Friends Enjoying An Evening Meal With Wine At A Restaurant. Royalty Free Fotografie A Reklamní Fotografie. Image 60487621. Reklamní fotografie - Group of friends enjoying an evening meal with wine at a restaurant. 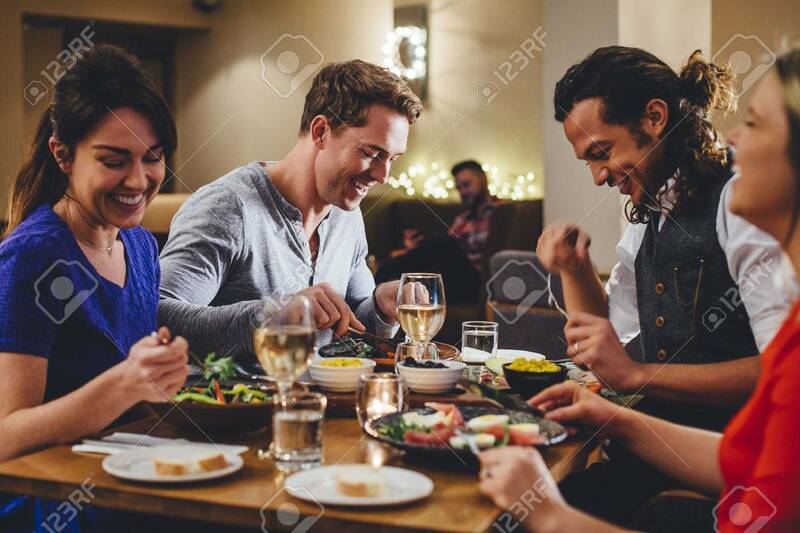 Group of friends enjoying an evening meal with wine at a restaurant.